happy monday all! i'm still recovering a bit from my surgery on friday, so posting will be at a minimum. i wanted to share this with you today though. 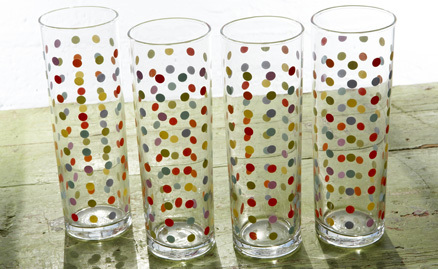 i'm loving these adorable tall polka dot glasses from fishs eddy. these might have to be on my christmas list this year!